Logan | Wheeler Machinery Co.
Wheeler Machinery Co. is your premier Cat® dealer in Utah that serves every industry, including governmental, construction, power generation, on-highway truck and demolition. Our relationship with you supports your equipment with parts and skilled service technicians well beyond the purchase date. Operating since 1951, Wheeler provides Cat equipment and creates personalized solutions for any challenge you face. New heavy equipment for sale in Logan, Utah, is available at Wheeler when you need to augment the performance of your fleet. 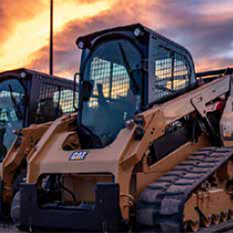 Whether you need to add Cat machines, construction tools, power generation or air compressors, we are here to help you decide which best suits your company. When you rely on Caterpillar® — the world leader in heavy equipment — you receive durable and fuel-efficient engines with incredible performance to boost your bottom line. 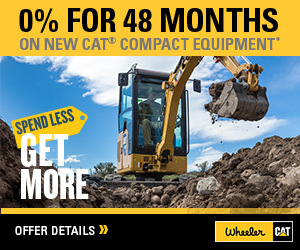 If you’re looking for equipment rental in Logan, Utah, Wheeler Machinery Co. has reliable solutions with our full line of mid-sized and small Cat equipment. We also carry other brands of machinery and provide superior equipment so you can maximize your productivity. With access to the engines you need along with tools and attachments, you can rent equipment for a one-time job, if you have limited storage space or if another machine is out of service. Other reasons to rent can be because you need an engine for a short time or you want to test it before investing in new or used. Trusting Wheeler for rentals reaps benefits like receiving emergency support and knowing our technicians perform regular maintenance for optimal performance. You can purchase the parts you need at Wheeler Machinery Co. in Logan or you can visit Parts.Cat.Com as a fast and convenient way to order 24/7. Anywhere from belts and batteries to filters and hydraulics, you will have quick access when making repairs on your own. 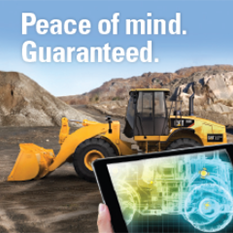 Wheeler has the Cat SIS web, which is an online application that gives you millions of part service documents, updated technical information, numbers, books and equipment manuals. We also offer exchange components and a return policy as well as tracking for parts delivery. Wheeler specialists also provide equipment transport solutions to move heavy equipment, and our trucks include remote access to Caterpillar’s technology library and our communicators. Each has an overhead crane, full tooling, necessary diagnostic tools and an air compressor with some having welding operations. We service Cat and non-Cat machines alike. Partnering with clients allows us to help increase your profitability by providing solutions and real advice. With our equipment, parts and services, we can also assist in preventing failures, improving operational efficiency and boosting your bottom line. Visit our Logan location in Utah today, which is near the Cache County Sheriff’s Office and up the street from Logan Meadows Park. Give us a call at 435-753-5505, contact us online or reach out to your local sales rep for more information.